S1 : 0-1 knapsack is efficiently solved using Greedy algorithm. S2 : Fractional knapsack is efficiently solved using Dynamic programming. (A) S1 is correct and S2 is not correct. (B) Both S1 and S2 are correct. (C) Both S1 and S2 are not correct. (D) S1 is not correct and S2 is correct. (A) to partition the program in the form of classes. (B) to reduce the number of test cases required. (C) for designing test cases in white box testing. 44. The failure intensity for a basic model as a function of failures experienced is given as λ(μ)-λ0[1 – (μ)/(V0)] where λ0 is the initial failure intensity at the start of the execution, μ is the average or expected number of failures at a given point in time, the quantity V0 is the total number of failures that would occur in infinite time. (A) 10 per CPU hr. (B) 0.1 per CPU hr. (C) –0.1 per CPU hr. (D) 90 per CPU hr. 46. 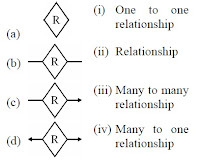 In ...............,modules A and B make use of a common data type, but perhaps perform different operations on it. 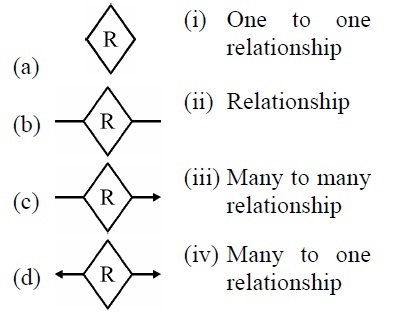 Which of the following tuple relational calculus finds all customers who have loan amount more than Rs 12,000? 50. Sixty (60) reusable components were available for an application. If only 70% of these components can be used, rest 30% would have to be developed from scratch. If average component is 100 LOC and cost of each LOC is Rs 14, what will be the risk exposure if risk probability is 80%?